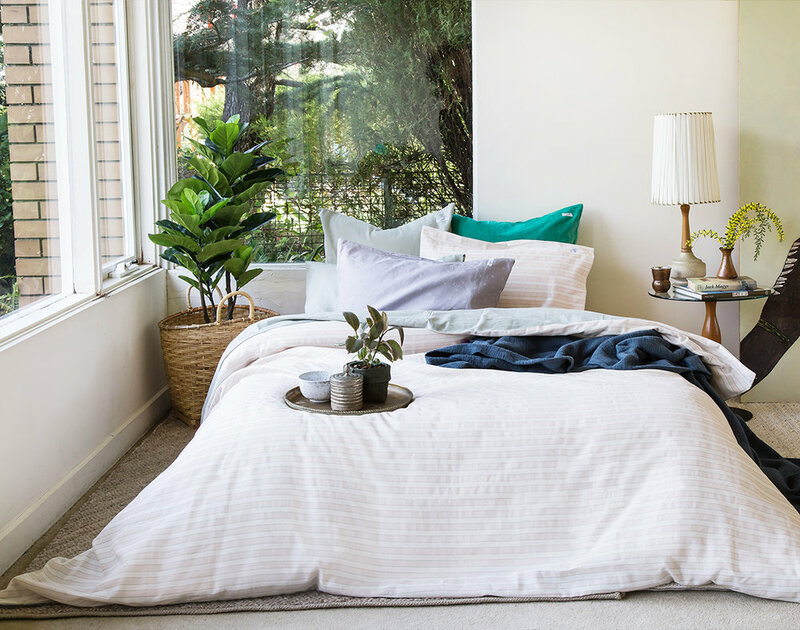 Siesta Home’s new Nomad range is making it easy to mix it up in the bedroom, and keep things looking fresh. Here’s a look at their range. The new Nomad collection was inspired by the feeling of wanderlust, being surrounded by nature and starry nights. The collection is an eclectic spectrum of unexpected colours and textures that encourage a mix and match mentality, and features beautiful high quality materials – like cotton velvet, cotton linen and cotton percale. I love the fact that all of the duvet covers are reversible meaning you can change up your look with ease, not to mention it saves on buying two quilts if you wanted to mix things up every now and then. by using the discount code ADORE10 at the checkout. This offer ends Dec 30, 2017. Click here to shop.